Evan Osnos is a regular contributor to television and radio programs including NPR's Fresh Air, WNYC's The New Yorker Radio Hour, MSNC's Last Word and others programs. The New Yorker's Evan Osnos profiles Facebook CEO Mark Zuckerberg in the magazine's latest issue and whether or not Zuckerberg has the 'will' to fix the social media platform for the better. Osnos joins Morning Joe to discuss. Evan Osnos has reported extensively on North Korea and has a piece out this week on the historical context of the current diplomatic effort. China's ambassador to the U.S. and Jared Kushner discussed Kushner's business interests along with policy at Mar-a-Lago, according to reporting by Evan Osnos. Osnos joins Morning Joe to discuss. New Yorker reporter Evan Osnos, recently back from North Korea and China, explains how North Korea views Trump’s nuclear taunts and how China is flexing its muscles with Donald Trump in the Oval Office. New Yorker journalist Evan Osnos tells NPR's Terry Gross that Chinese leaders think of President Trump as a "paper tiger" who makes promises he can't deliver and who can be "managed" with flattery. The New Yorker's Evan Osnos discusses new reporting on how China learned to use President Trump to its advantage. Donald Trump mocked Kim Jong Un by calling him “rocket man,” and threatened to “totally destroy” North Korea if the U.S. or its allies were attacked. Kim, in turn, dismissed Trump as a “barking dog.” Evan Osnos recently reported from Washington and Pyongyang on the tensions between the United States and North Korea. Osnos tells David Remnick that North Korea will never give up its nuclear weapons; they are no longer a bargaining chip but a source of national identity and security. Despite the forceful rhetoric and threats, Osnos found little appetite for war in either government, concluding that North Korea is not “a suicidal cult.” And he predicts that Trump will contain the risk, rather than eliminate it. Evan Osnos joins Kaiser Kuo and Jeremey Goldkorn on the Sinica Podcast to discuss getting into North Korea and strained comparisons between the PRC and DPRK. NBC News reports that President Donald Trump will call for "burden sharing" to tackle the nuclear threat from North Korea in his United Nations speech Tuesday. Evan Osnos, who recently returned from reporting in North Korea, joins Lawrence O'Donnell. Evan Osnos joins Bloomberg's Charlie Rose to discuss his recent assignment in Pyongyang. His report offers a rare, inside look at North Korea and their attitudes towards confrontation with the U.S.
Evan Osnos joins host Terry Gross to discussion his visit to North Korea in August, an effort to understand what they really mean when they talk about nuclear war. He found that nuclear weapons are an essential part of their society. Evan Osnos hosts the New Yorker Radio Hour in an episode focused solely on China. 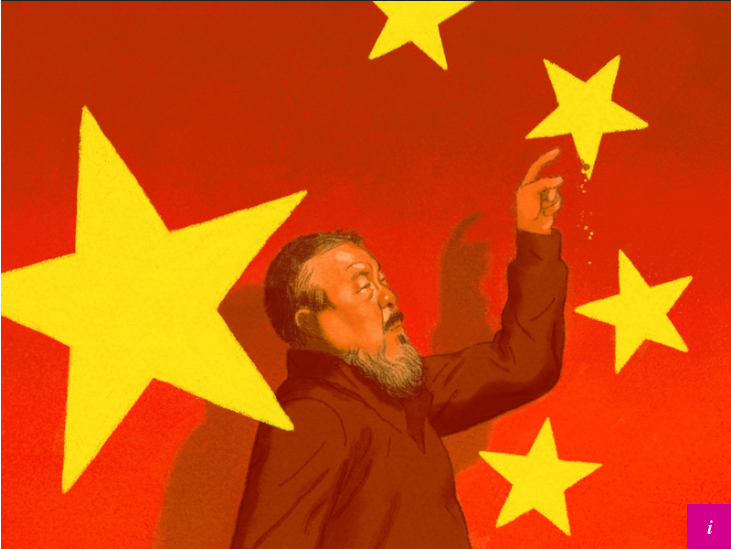 Artist Ai Weiwei discusses his role as China's persona non grata; journalist Zhang Yuanan explains the Chinese view of Trump; Congressman Rick Larsen talks U.S.-China trade after the death of the Trans-Pacific Partnership. Evan Osnos joins host Terry Gross to discuss the likelihood that impeachment under the 25th Amendment will be used to remove Donald Trump from office. Evan Osnos appears on Comedy Central's "The Daily Show" to discuss Russian interference in the 2016 election with host Trevor Noah. U.S. intelligence agencies believe Russia attempted to sway the U.S. election through DNC email hacking and an influence campaign. But to what degree were President Trump’s campaign advisers in contact with Russians? And what made Americans susceptible to influence? Evan Osnos joins PBS Newshour host William Brangham and former CIA official John Sipher to discuss his recent piece in the New Yorker. Justin Vogt, deputy managing editor of Foreign Affairs, sits down with Evan Osnos, author of "Age of Ambition." They discuss Chinese spirituality, Beijing's censorship of journalists, and President Xi Jinping's anticorruption campaign. New Yorker correspondent Evan Osnos talks to Asia Society's Orville Schell about the roots of his longstanding fascination with China and some of characteristics that make life in China so distinctive today.